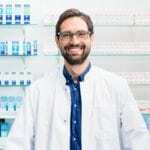 Opportunities abound for pharmacy technicians in retail drug stores, mail-order pharmacies, hospital pharmacies, long-term care facilities, and other pharmacy settings. 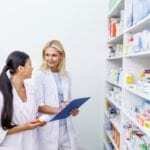 The type of duties a pharmacy technician performs vary with each setting, but in every setting, technicians assist pharmacists with the duties that do not require the professional judgment of a pharmacist. These duties include filling prescriptions, preparing IVs, maintaining inventory, labeling containers, preparing claims and receiving payments, and customer service. 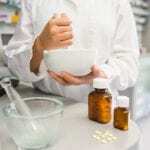 Pharmacy technician programs provide the formal training students need to complete these tasks, and pass the national certification exam to become a Certified Pharmacy Technician. Given the weight of responsibilities that a technician bears in the pharmacy, certification through a recognized certifying body, such as the Pharmacy Technician Certification Board, is critical to employers. Certified technicians are on the cutting edge of the healthcare process. They are a vital part of the pharmacy operation as they meet patients’ needs in in accordance with state and federal standards. The Pharmacy Technology Program at Amarillo College prepares adults for a career as a pharmacy technician in just one year. The program includes classroom lectures and a practicum that gives students the opportunity to put their skills to work. At the conclusion of the program, students will be prepared for success on the national certification exam to become a Certified Pharmacy Technician. Students will learn how to assist pharmacists with the collection, organization, and evaluation of information, receive and interpret prescription medication, understand pharmaceutical and medical terminology, abbreviations, and symbols, calculate dosages, use aseptic techniques to prepare medications, maintain pharmacy equipment, monitor drug therapy, collect payments for pharmacy services, and maintain patient records. Practical experiences will also give students hands-on experiences on the Pyxis MedStation 4000 – an advanced medication-dispensing system used in the industry. Course topics include medical terminology, anatomy and physiology, interpersonal communications, introduction to pharmacy, pharmacy law, pharmacy math, pharmacotherapy and disease process, compounding sterile preparations, computerized delivery systems, and certification review. Meet the immunization requirements: Varicella, Hepatitis B, MMR, and Tdap immunity, and a negative TB test. Complete the policy for Criminal Background Checks. Some criminal histories will disqualify students from completing the program. Tuition for the 48-week program is $4,365. Books and supplies cost an additional $2,433. The pharmacy technician program at Milan Institute prepares students for an entry-level position as a pharmacy technician in a community, hospital, and retail chain pharmacies. The curriculum covers 760 hours in 36 weeks. Students will earn 47.5-quarter credits by the conclusion of the program. The program is divided into seven modules: Strategies for Success, Pharmacy History, Pharmacy Skills/Law and Ethics, Pharmacology, Compounding, Unit Dose Systems, and Medication Measurements. Other topics include Intravenous Admixtures, Professional Development, and Externship. The program includes a 160-hour externship that will give students an opportunity to use the skills and knowledge acquired in the program. The externship will be conducted at an off-site pharmacy where students will work under the supervision of a pharmacist to gain hands-on work experience in a pharmacy. Submit an application for a Pharmacy Technician Trainee, including fingerprinting, to the Texas State Board of Pharmacy. Tuition for the program is $12,623. Books and supplies cost an additional $977.